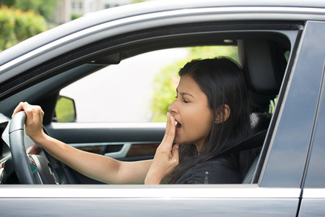 Excessive Daytime Sleepiness – this is the most common symptom of Narcolepsy and may be the only symptom. Most patients relate the inability to stay awake and alert during the day, resulting in unintended lapses into drowsiness or sleep. Short naps typically provide some relief. Cataplexy -- a sudden, brief loss of muscle strength or control caused by strong emotions. Cataplexy, one of the more disturbing symptoms of Narcolepsy can be incapacitating. The presence of Cataplexy is diagnostic of Narcolepsy. Most patients with Narcolepsy however do not have this component. Hypnagogic Hallucinations -- vivid dream-like events that occur while falling asleep or waking up. Sleep Paralysis -- the brief inability to move or speak while falling asleep or waking up. This is a common symptoms in many patients but not diagnostic of Narcolepsy. Sleep Disruption is when sleep is broken up by many awakenings during sleep. This is a very common form symptom in patients with Narcolepsy. Vastly under-diagnosed, those who suffer from narcolepsy may fall asleep at inappropriate times -- in a business meeting, during class at school, while driving, even talking to someone. Sadly, may people are misdiagnosed with psychological problems for years before getting the correct diagnosis and treatment. Dr. Anthony DiMarco and the experienced, knowledgeable Sleep Disorders Center staff will evaluate you for Narcolepsy through obtaining a comprehensive medical history and physical exam as well as specifiic sleep studies. Get your life back!